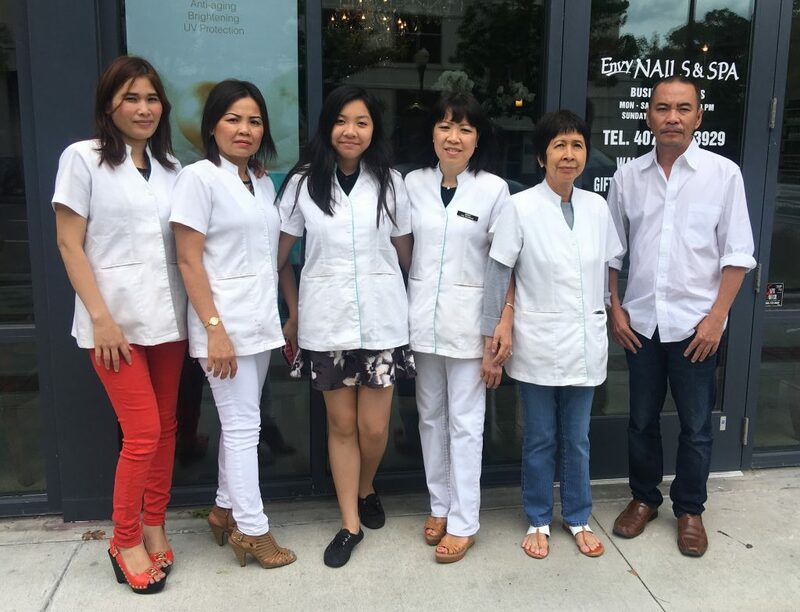 At Envy Nails and Spa, we’re dedicated to excel our nail and spa services for our customers, finding the right staff members are very important and its quite a process. At many salon, they can easily hired anyone to come in and work for them. But at Envy Nail and Spa, we will sit down with our staff and want to learn more about their situation, family status and why they want to join us. Even though money is very important but we want to make sure that each newly member joined our team will work great with the team. Nail and spa business are seasonal, depends on part of the year, it could be super demanding and sometimes it could be slow due summer vacation, school break and etc. But at Envy Nails and Spa, we’re always hiring for the right person to work in a growing business. Please give us a call to discuss about your career journey and looking forward to have you join our happy team!